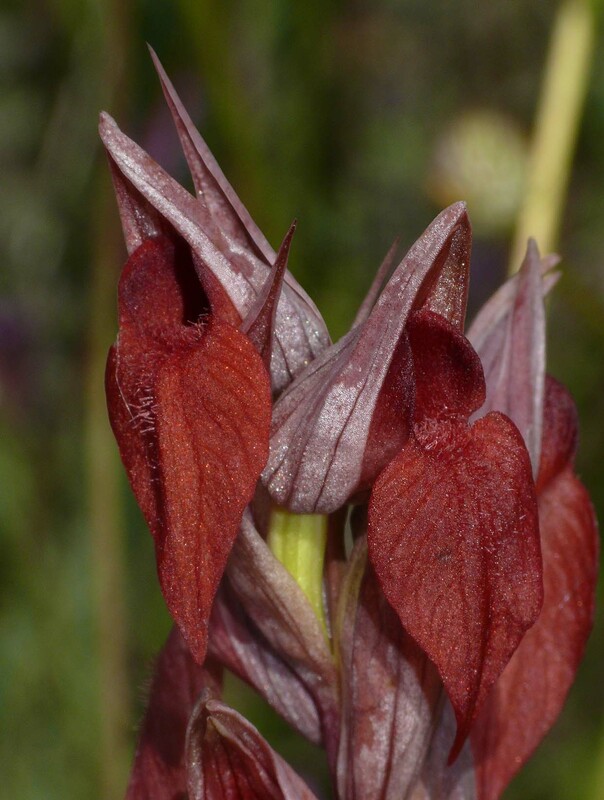 All the species of the genus Serapias are well known as orchids that readily hybridize and in sites that support a variety of these group members, the number and diversity of intermediates can be seemingly interminable. The hybrid pictured here is a cross between the newly described S. occidentalis and S. cordigera and comes from Dehesa de Moheda Alta, a nature reserve in the Extremadura of western Spain. 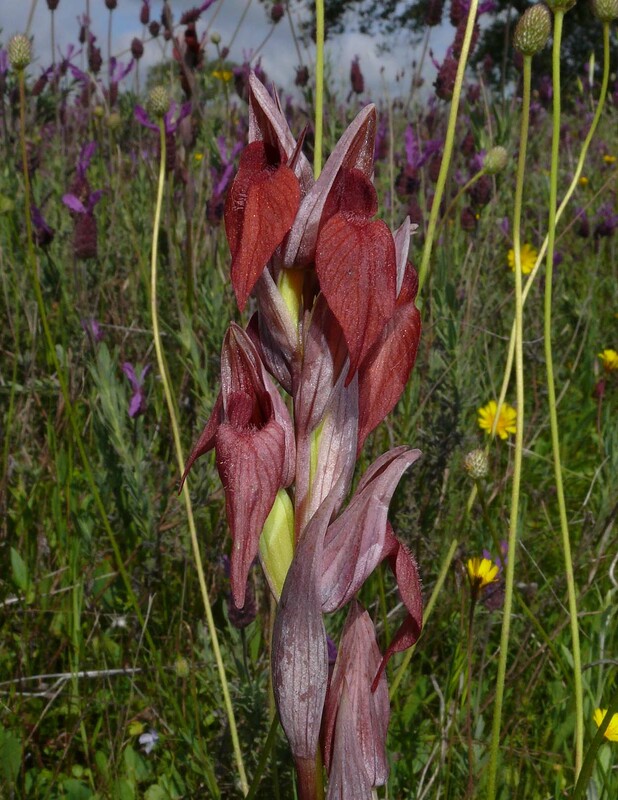 This particular area is one in which Serapias species dominate to the virtual exclusion of any other genus and no less than seven full species were present in a relatively small area. Intermediates were common and determining the lineage of some of them was almost impossible. In the case of this hybrid, proximity to the parents and the plants readily recognizable characteristics made its origins reasonably apparent. Nonetheless identification could not be made with complete certainty and it's entirely possible that other species may also have provided genetic input. The photographs date from the 22nd of April.